Tuscany has become one of the most searched words on the web. It's not surprising, after all it's known the world over for it's stunning countryside, vineyards and luxury Italian properties. Rustic Tuscan properties are everywhere. These vary from ruins to luxury villas, castles and palazzos. World famous wine producers litter the countryside. Tuscany has some of the most beautiful towns and cities in the world: Lucca, Florence, Siena and Cortona to name just a few. 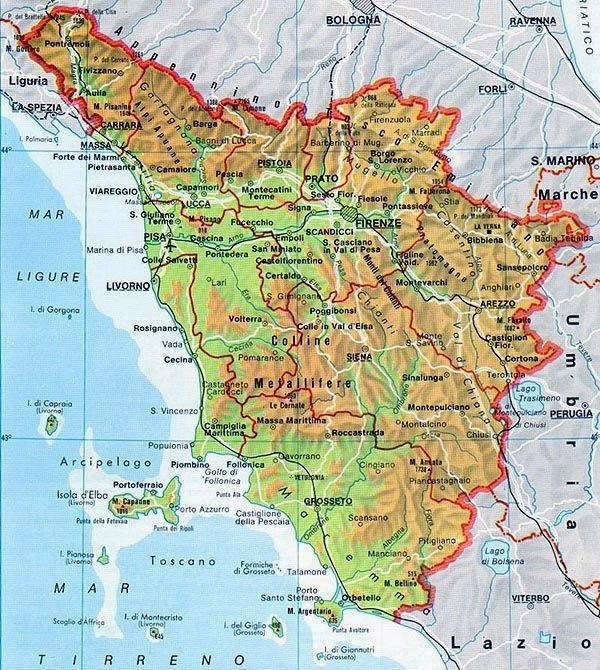 The region is split into ten provinces: Arezzo, Florence, Grosseto, Livorno, Lucca, Massa Carrara, Pisa, Pistoia, Prato, Siena. 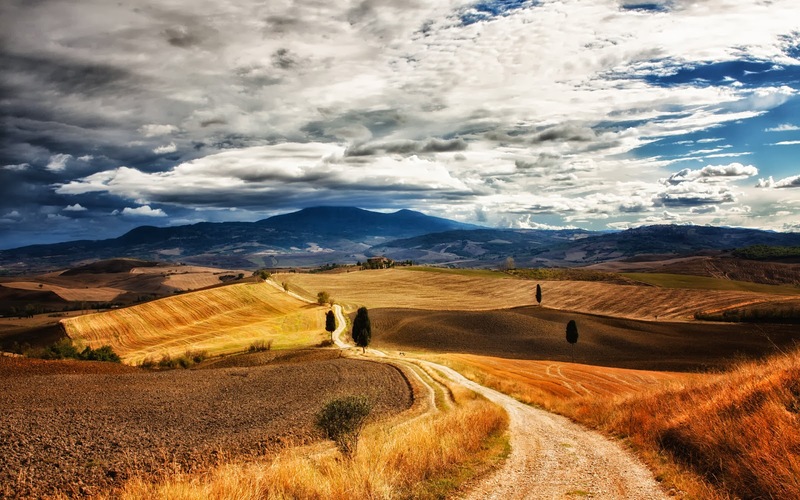 Tuscany is a charmed land, equally blessed by the genius of man and nature, and often by the combined efforts of both. Think of the vineyards: rows of baby green vines that manage somehow to march in arrow-straight formation up the gently rolling hillsides, bounded by single files of darker green cypress trees, snaking sandy roads leading to rust-coloured villas and farmhouses and moss-coated castles, symmetrically rounded hilltops surmounted by towns so homogeneous as to seem one single building. Tuscany harbours the classic landscapes of Italy; it is a picture that has long held an irresistible attraction for northern Europeans. The expat's perspective may be distorted, but Tuscany is indeed the essence of Italy in many ways. 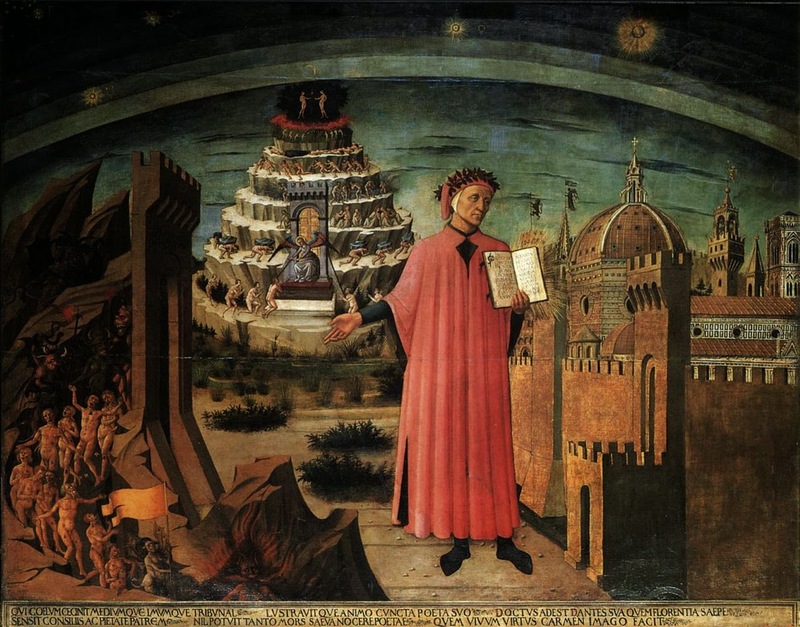 The national language evolved from Tuscan dialect, a supremacy ensured by Dante, who wrote the Divine Comedy in the vernacular of his birthplace, Florence, and Tuscan writers such as Petrarca and Boccaccio. But what makes this area pivotal to the culture of Italy and all of Europe is the Renaissance, which fostered painting, sculpture and architecture that comprise an intrinsic part of a Tuscan tour. The very name by which we refer to this extraordinarily creative era was coined by a Tuscan, Giorgio Vasari, who wrote in the sixteenth century of the "rebirth" of the arts. Florence was the most active centre of the Renaissance, flourishing principally through the all-powerful patronage of the Medici dynasty. Every eminent artistic figure from Giotto onwards - Masaccio, Brunelleschi, Alberti, Donatello, Botticelli, Leonardo da Vinci, Michelangelo - is represented here, in an unrivalled gathering of churches, galleries and museums. 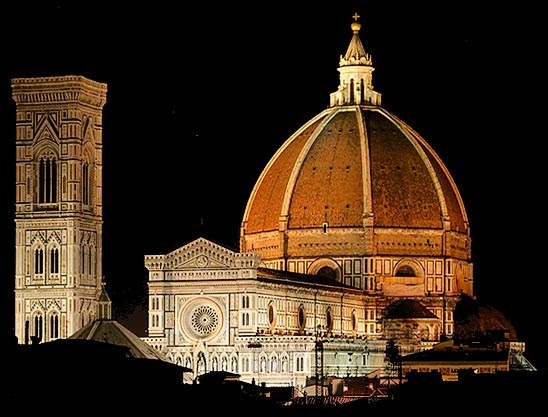 Brunelleschi's dome on the world famous Duomo (below) is perhaps one of the most recognised buildings in the world. 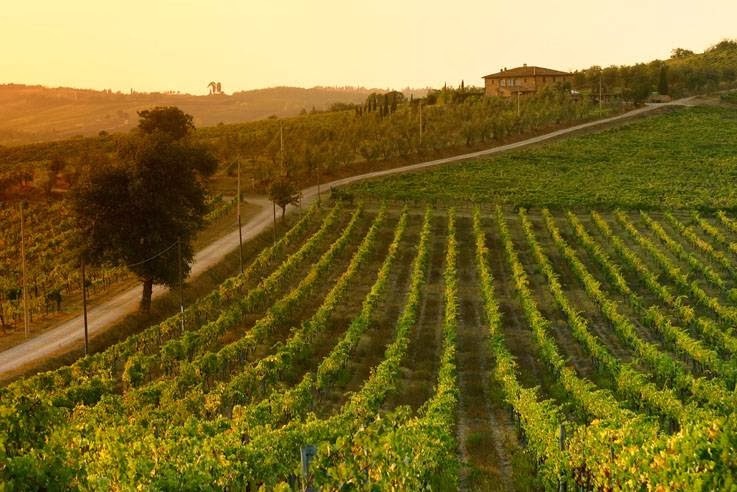 Florence and all its attractions is wonderful, but visitors should make an extra effort to visit the Chianti region of Tuscany. Chianti has been a hot spot for wine production for hundreds of years. It is amazing that an area with such rough terrain and high altitude would produce such a wonderful wine grape when other crops would fail. Tourists will delight in seeing rows of grape vineyards alternating with rows of olive trees and enjoy seeing the wine making process first hand. Chianti is produced in six different provinces: Siena, Firenze, Arezzo, Pistoia, Pisa and Prato. Chianti Classico is only produced in the areas between the provinces of Siena and Florence to exacting specifications. Easter in Italy - more than just chocolate!